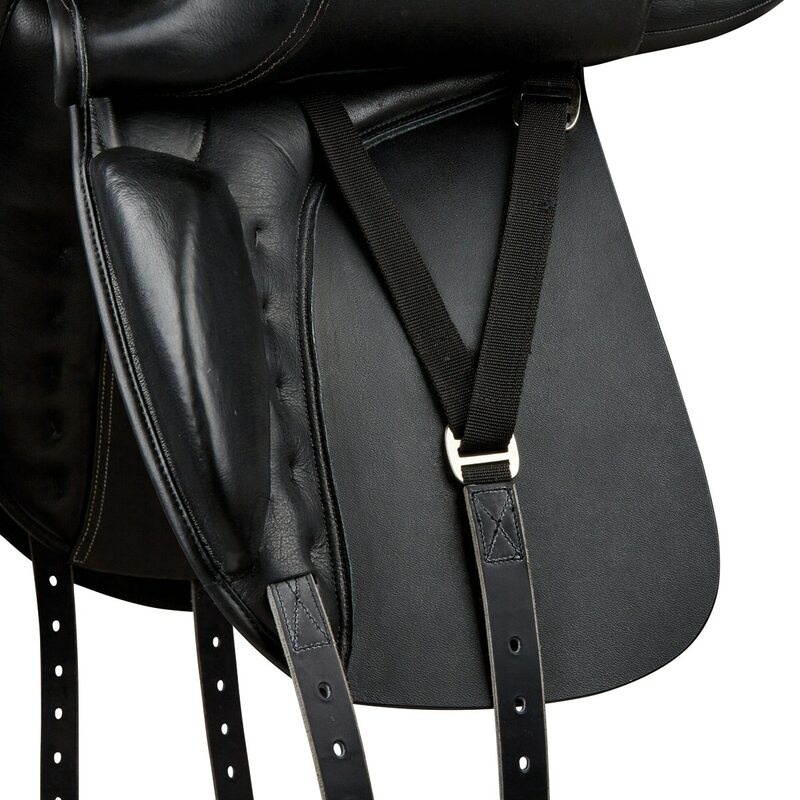 The Collegiate Lectern Dressage Saddle is created from the finest, and supple quality leather and is a hand crafted, with the horse and riders comfort in mind and all at a great price. 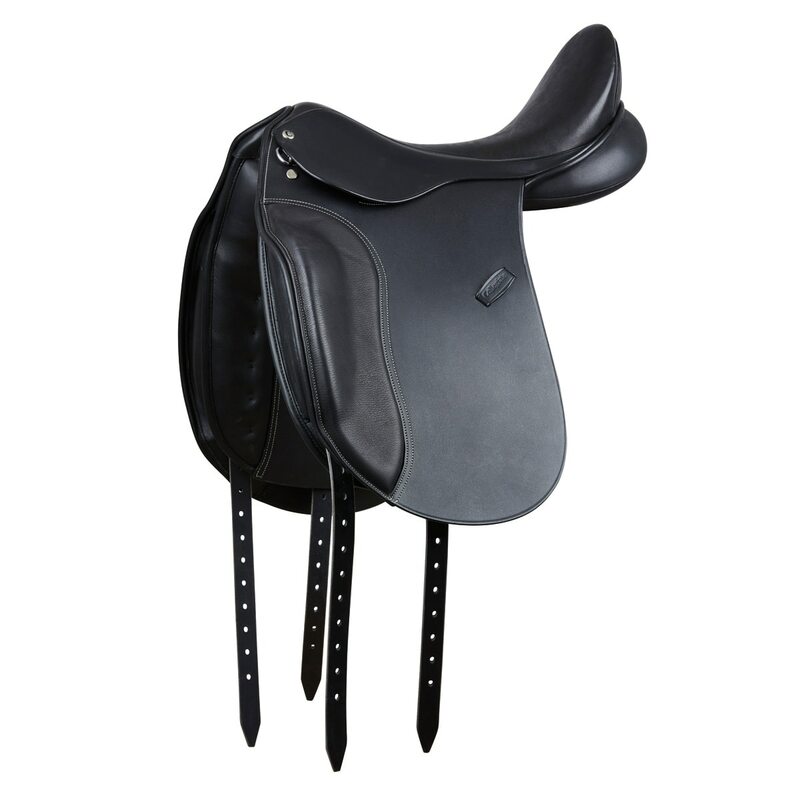 Collegiate Lectern Dressage Saddle is rated 5.0 out of 5 by 1. Rated 5 out of 5 by Acushing1020 from Amazing saddle at a great price! This is my first dressage saddle ever and I must say I am very impressed! Almost no break in time required. It is so comfortable! I am very petite so big blocks would not work for me and I hate the look of them. This is a very nice saddle without the big blocks but you still have enough knee block to keep your leg in place. I also love the interchangeable gullet and the fact that it is synthetic wool so my saddle fitter has the ability to fit it to my horse. 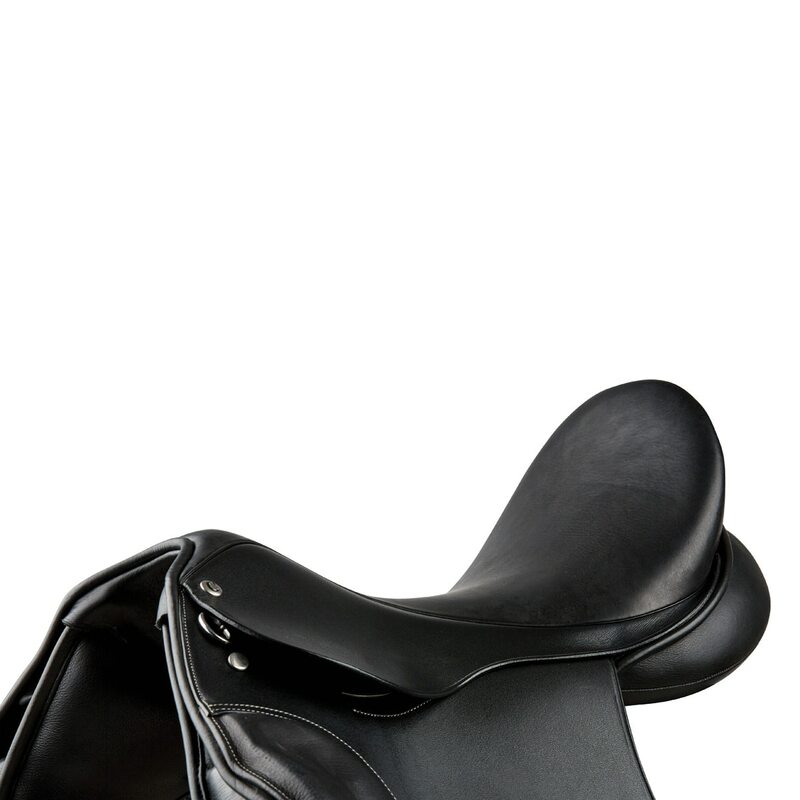 This saddle is perfect for lower level Beginner Novice Eventing!